Over 350,000 intrepid English men, women, and children migrated to America in the seventeenth century, leaving behind their homeland for an uncertain future on distant shores. Whether they settled in Jamestown, Salem, or Barbados, these early English migrants—entrepreneurs, soldiers, and pilgrims alike—sought to re-create their old country in the new land. 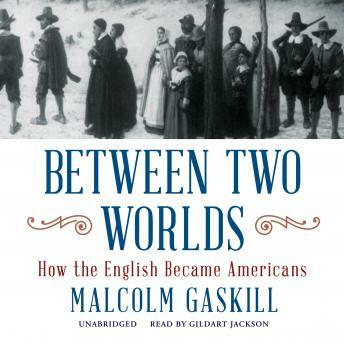 Yet as Malcolm Gaskill reveals in Between Two Worlds, colonists’ efforts to remake England and retain their Englishness proved impossible. As they strove to leave their mark on the New World, they too were altered: by harsh wilderness, by illness and infighting, and by bloody battles with Indians. Gradually acclimating to their new environment, later generations realized that they were perhaps not even English at all. These were the first Americans, and their newfound independence would propel them along the path toward rebellion. A major work of transatlantic history, Between Two Worlds brilliantly illuminates the long, complicated, and often traumatic process by which English colonists became American.